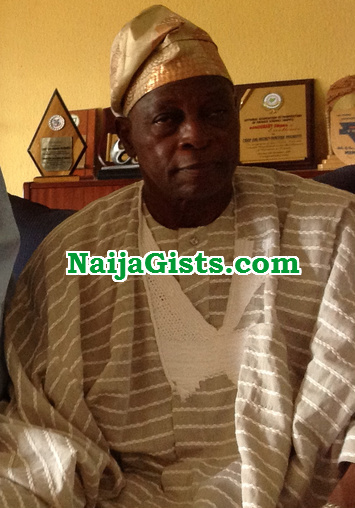 An eyewitness who witnessed the abduction of former SGF, Olu Falae has narrated how about 7 Fulani gunmen abducted the septuagenarian yesterday on his farm in Akure. The source said Falae’s kidnappers has reduced the ransom to N90million but the family said they could only afford 2 million. The suspected kidnappers said they can’t collect the proposed amount and insisted on collecting 90 million before releasing the chief. The source said the suspects gave Falae’s family till the end of today to produce the money. “As we were coming we saw seven Fulani, they attacked us. They started shooting. I tried to reverse the car but unfortunately my car got trapped. It was there they seized me and told me to take them to where our boss was. I told them Oga was in the farm but they would not listen. Falae’s PA, Captain Raji said the abduction was the handiwork of some insiders and Fulani herdsmen. 4 of the suspects were armed with AK47 rifles while 3 other used cutlasses. Captain Raji said only one of them who identified Falae was masked while others who look like strangers were not. ONE NIGERIA + APC CHANGE Colonial / Hausa-Fulani WAAAAYYYOOO!!! They just want it to appear as if it was the fulanis that kidnapped him! What would they be doing with 100million naira? They don’t even go to the bank. Its possible they hire them to perpetrate the crime but surely there are insider that is the brain behind it.